which is releasing major titles exclusively on the format. Technology consultants Understanding & Solutions say that Paramount's backing has failed to turn HD DVD's fortunes around, despite HD DVD only releases of Transformers and Shrek 3 - two of the year's biggest Hollywood blockbusters. "As demand grows and manufacturing volumes build, we're going to see the costs of releasing on two different formats really start to bite. There may be surprises just around the corner, and we could see a lot more format clarity in 2008." This last comment seems to be aimed at Warner Bros - the last major Hollywood studio to back both high def formats. Its support for both will change in January, if rumours currently bounding around the web are to be believed. They show Warners plumping for Blu-ray only support at CES 2008. However rumours of a switch have been vehemently denied by the studio. Even if the rumours do come to pass, it still doesn't necessarily spell bad news for HD DVD. 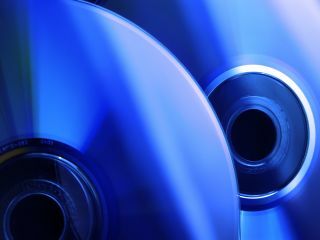 It will still be able to undercut Blu-ray when it comes to European high def player prices: Foster predicts that the average price of a mid-range HD DVD player will fall as low as $275 (£137) for HD DVD by the end of 2008, while Blu-ray will drop to $475 (£237). HD DVD can also claim support from a large number of European film studios and distributors - this can mean that a title released on Blu-ray in the US, may actually be sold on HD DVD here, depending on regional deals.